I’ve always got a bit emotional about Remembrance Day. Being a big fan of history, I’ve read a lot about the first and second world wars, especially first person accounts, and to think what people went through during these times is incredibly humbling. And I don’t just mean those who served, but also those who didn’t fight, for whatever reason. The women and families left at home to worry and mourn, the men, women and children in Europe persecuted in the second world war, anyone who lived through these times have my complete admiration and respect. But this year, because of Ancestry, we will be having a very special and emotional commemoration. Earlier this year, after years of not knowing, we finally found out who my great grandfather was. 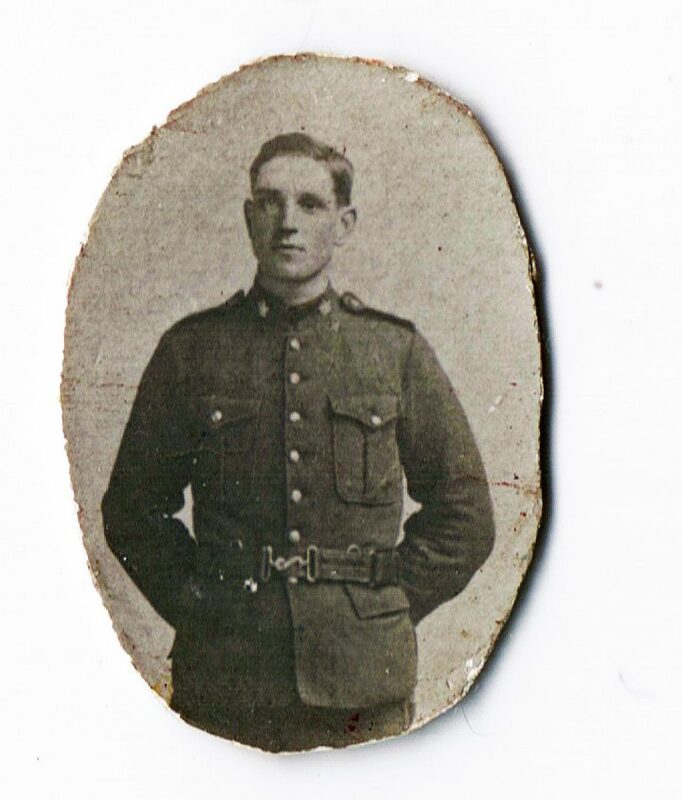 We knew that he was a Canadian Expeditionary Force soldier, in World War One, but as my grandmother was illegitimate and the father’s name wasn’t on the birth certificate, we had no idea what his name was. My great grandmother, Marion, never spoke of him and the subject was strictly off limits. All we had was a tiny picture in a locket Marion had kept. Then in the summer I was contacted by Ancestry as one of their members wanted to get in touch with me. They had been able to match up some records and informed me that my great grandfather was a man called William Arthur Davis. He died on 9th April 1917, at the age of just 23, at the battle of Vimy Ridge. He’s buried at the Thelas Military Cemetery in Pas-de-Calais. I posted about this during this summer, just after I found out, because for my family it was life changing to finally know who this man was. We’d always wondered if it had been a one night, steamy affair, if he’d survived the war and chosen not to come back to Marion, or if he had been killed. To know that he did love Marion has meant the world and made her sacrifice even more worthwhile. Poor Marion was disowned for falling pregnant out of wedlock and bringing shame on the family. She never married, or even met anyone else because she truly, truly loved him. So this year on Remembrance Day when we wear our poppies, and watch the service on TV, we’ll be able to commemorate more than just a picture in a locket. We’ll remember the brave young man, William Arthur Davis, who gave his life in the First World War. I suspect tears will be shed because this year it will almost be like a funeral for William who we were never able to grieve for before. And for Marion too for everything she lost by following her heart.